The buzz surrounding Attack the Block has been steadily growing to a roar since its premiere at the South by Southwest Festival. The sci-fi action comedy continues to amass fans and supporters at an exponential rate. By the time it officially arrives stateside, it could be poised for the kind of runaway mainstream success that eluded other U.K. imports such as Shaun of the Dead and Hot Fuzz. 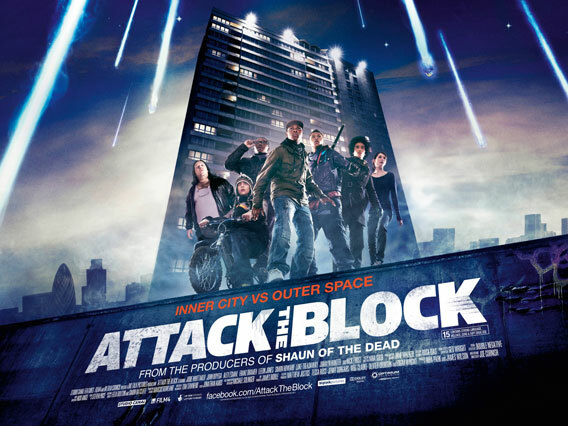 In fact, Attack The Block was produced by the same team behind those two cult favorites. The plot is simple. While celebrating bonfire night in a most criminal fashion, a gaggle of South London youths suddenly find themselves fending off an alien invasion from within the confines of their council estate. In a stark and refreshing contrast to similarly themed American offerings, the world portrayed in Attack The Block is not lily white. It seems that filmmakers in the U.K are more comfortable acknowledging the racial makeup of their region. Two new clips from the film have recently surfaced courtesy of Empire Magazine. The first shows the groups first encounter with the malevolent extraterrestrials. The second shows how efficient the aliens are at sniffing out their prey. Enjoy.